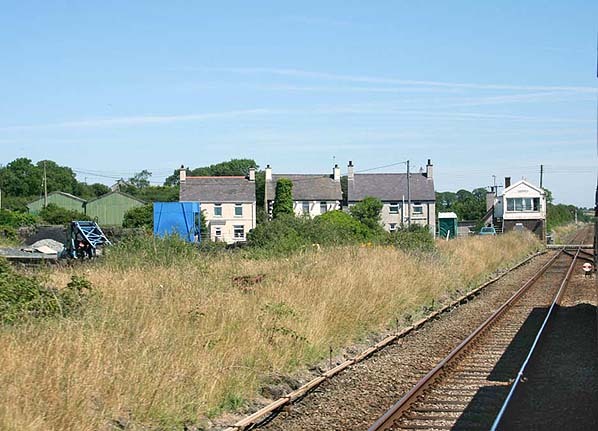 Notes: Gaerwen station was located on the Isle of Anglesey and was opened on the Chester and Holyhead Railway Companies line which was engineered by Robert Stephenson. The line opened to Bangor in North Wales on the 1st May 1848 and between Llanfair PG and Holyhead, both on the island of Anglesey on the 1st August 1848. The reason for the gap in the route was because the Britannia Bridge across the Menai Straights was still under construction. Passengers travelled from Bangor to Llanfair PG by horse drawn coach using Thomas Tel ford's Menai Road Bridge. Gaerwen passengers therefore could only travel by train to Holyhead and Llanfair PG. Gaerwen probably opened after the line first appearing in a public timetable in January 1849.
was of strategic importance as it connected London to Ireland via the Holyhead Ferry. 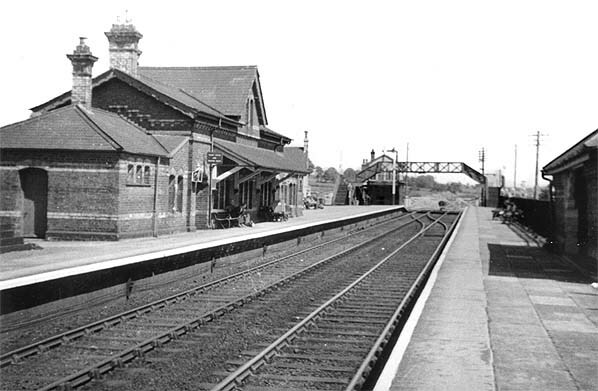 Gaerwen Station was provided with two platforms and had a substantial two storey brick built building on the eastbound platform. A more simple wooden waiting shelter was provided on the westbound platform. 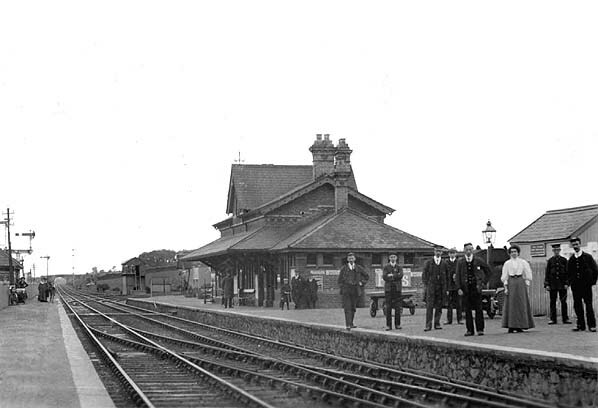 station and by 1876 the Anglesey Central railway had been bought by the LNWR. The station served the local community well for many years but by the second half of the 20th century, traffic had begun to decline. On the 7th December 1964 the station lost its services to and from Almwch and less than two years later on the on the 14th February 1966 the station closed to all passenger services. It has since been demolished but both the Chester to Holyhead and the Almwch branch are still present although the later has been out of use for many years. There are proposals to re-open it to passenger services. The Chester to Holyhead line remains busy with local and long distance services. Degraded remains of the eastbound platform can still be seen. leads off to the right. Looking north-east at Gaerwen station site in October 2011. 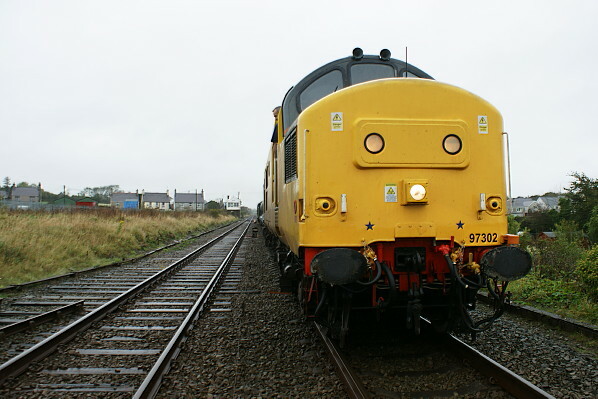 To the left can be seen the Amlwch branch which by this date was disconnected from the main line. Dominating the view is English Electric locomotive 97 302 (a former class 37) on a sandite train.